“Build it and they will come” was the theme of this year’s High Holiday events at the new, expanded Chabad House Student Center at Rutgers University. With the opening of its new massive dining hall and added residence suites, students from every walk of life now experience the full array of exciting Jewish programming and celebrations Chabad is famous for. In fact, this year already, “over 4,500 daily and holiday meals were served over the course of just the first month of school,” stated Rabbi Carlebach, Executive Director of Chabad House. The Giant Sukkah was erected in Chabad’s new parking lot, and stood strong as hundreds of students assembled throughout all eight days of the holiday to eat, play ping-pong and pool, study, and meet new people. During the Sukkafest Extravaganza held on Tuesday night, celebrating Simchat Beit HaShoavah, students posed for party pictures, played games, socialized, heard live music, and conducted a raffle in the Sukkah. Special guest Becca Fish, a Rutgers School of Graduate Education Alumna and now elementary school educator, spoke to the students of the essential services Chabad House provides to all students, regardless of affiliation or background, stating “each and every one of you is very lucky to have the Chabad House here at Rutgers, because the rabbis, rebbetzins and staff here truly care about you.” She added that “this is the place that inspired me to investigate my Judaism in a more meaningful and personal way, and I welcome you all to take full advantage of this place and the special and loving people who run it. No matter what your level of involvement is, you will feel totally comfortable and appreciated.” Ms. 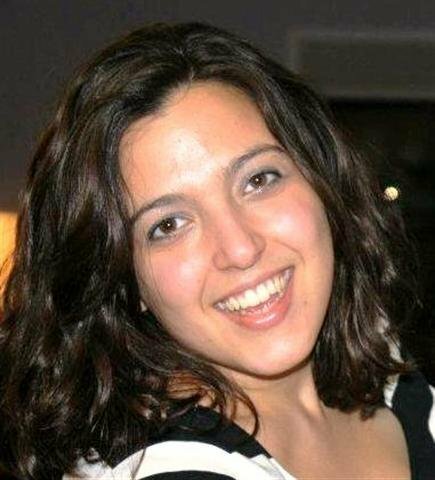 Fish is the granddaughter of the late June Walker, International President of Hadassah, and National Chairwoman of the Conference of Presidents of Major Jewish Organizations. 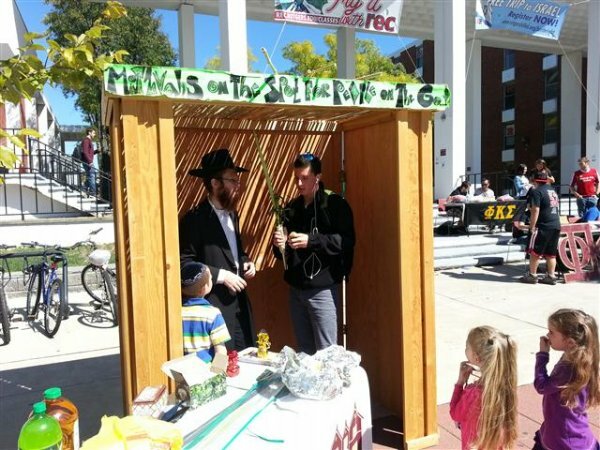 During the week of Sukkot, under the direction of Chabad's Educational Director Rabbi Shaya Shagalow, Chabad's portable Sukkah went throughout the campuses of Rutgers, allowing hundreds of students and faculty to perform the mitzvah of shaking the Lulav and Etrog, as well as making a brocha in the Sukkah on snacks provided. In addition, Chabad's Community Service Group headed by Rutgers Junior Britney Plotnick, visited Jewish patients in both S. Peters Medical Center and RWJ University Hospital, also providing patients and hospital personal with the Lulav and Etrog. Yes, even Ping Pong and Pool in the Sukkah!